Our this nail art drill file machine is suitable for both manicure and pedicure nail treatment. Easy to use by turning speed control. Shape and gently clean away uncomfortable hard skins, corns and hard glue. The nail file can be used for natural as well as artificial nails.It is suitable for professional studio use or home DIY use. This tool is design for carver, engrave, rout, grind, sharpen, sand, polish,drill and more . Unplug the tool form electrical outlet before loading a bit . Press shaft lock button. Use the collect wrench to loosen the collect nut. Inset the bit (not included), and tighten the collet securely. But avoid excess tightening of the collect nut and never use a damaged bit. There is an ON/OFF switch. When the switch is on,the tool runs at 20,000 RPM. There is a switch indicator with an orange line on it. Slide the switch to find the speed needed from 18,000-20,000 RPM.Slide the switch to the black dot for complete stop . Bluetooth technology provides a cable-free & clutter-free connection. Ergonomic tilted design reduces wrist strain. 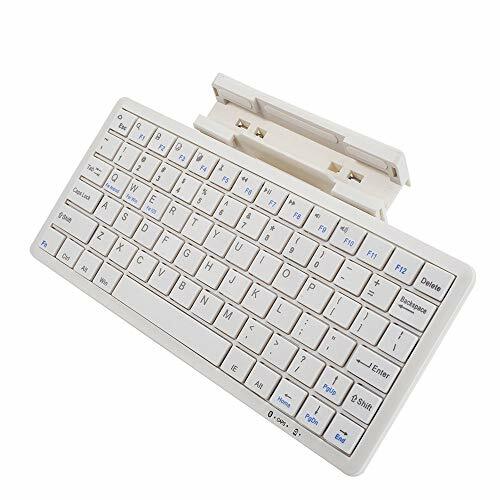 Compatible with the iPad and all Bluetooth-enabled tablets, laptops, and computers. Pencil-thin, sleek profile (0.23in thin) easily stows in a backpack, messenger bag, or case. Standard keyboard without any wrong code and keys.